Do you answer users on Google Play? Unfortunately, not every mobile developer responds to the reviews on Google Play. Meanwhile, this simple action can improve loyalty to products and brands, as well as directly affect the rating of the app: users regularly change their negative reviews to positive ones when see that they were heard by developers. 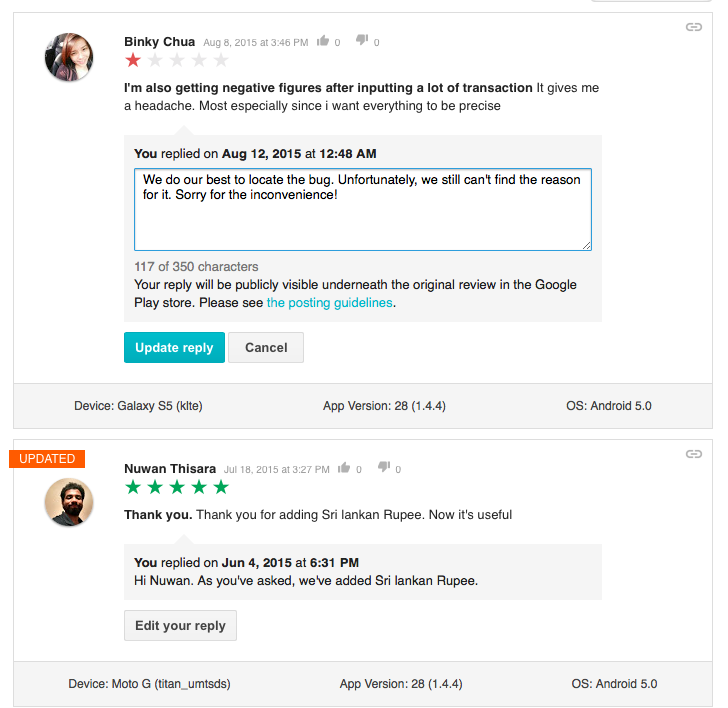 If you respond promptly and regularly, you can easily — with almost no efforts — improve user opinions on the app. 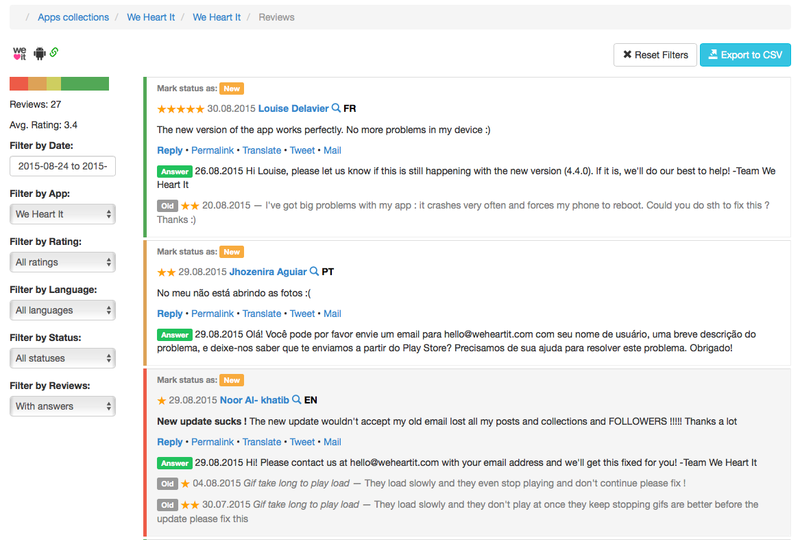 AppFollow allows to see developers’ replies to users’ reviews. You can access this data within reports we email daily and in your web account. And here are few hints on how this feature can be of use to you. Via AppFollow we can see who responded and who didn’t. This helps to analyze competitors’ activity, e.g., how often the answer to the users complaints? Or there can be an announcement of the new feature coming in the next version of the application. If you track your own app as well, then you can be aware of how your community manager does his work. You can reply to a review yourself. And this can be done both from daily reports or your web account and from Trello or Slack as well. Just click Reply and you‘ll be forwarded to your Google Developer Console. Important: if you didn’t add your Google developer ID to app alerting settings, you’ll be promt to do that. If you use Google Chrome browser, you’ll be forwarded directly to the answering form in Developers Console. The main difference between daily reports & web account is that the later accumulates all the data. As email reports can’t accomodate all the reviews, you see not more then 5 of them. While on the web you can access all of them at one place. Reviews (and answers to them) are collected several times a day, so it’s more up-to-date. Via AppFollow you can access reviews on any app in Google Play. Here you can filter reviews by rating, language, set the desired time ranges to analyze competitors’ work and identify patterns (if any). c) in meta-data section you can check how often this developer releases updates. This can give you an idea on how fast your competitors are. This as well can chnage your plans on when to release same new features and win the race. As a result, you start attracting competitors’ users to your app. Upon a result you have, decide on how to talk to your manager: either compliment him or not. 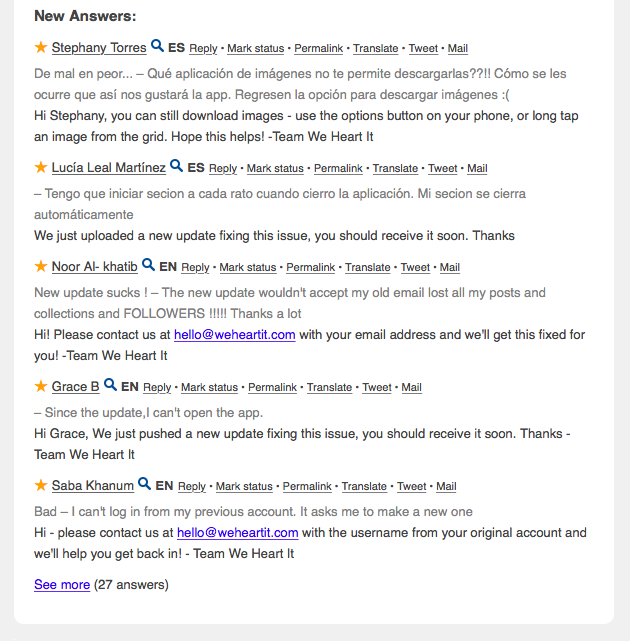 We will be happy to answer any questions, send them to hi@appfollow.io.